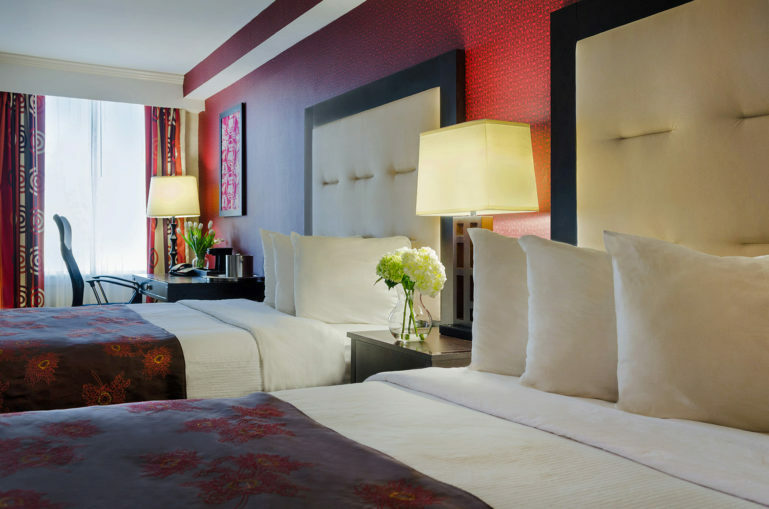 Enjoy sophisticated style and supreme comfort in one of our spacious guest rooms and suites at Hotel Zero Degrees in Stamford, CT. Each room type has been thoughtfully designed to accommodate how you live. You’ll find three zones for flexible living: the restful night, wind-down lounge, and productive work areas sync together as versatile space – so you can easily utilize the zones to suit your personal preferences. Hotel Zero Degrees Stamford is located off exit 35 of the Merritt Parkway, and just off I-95 at exit 7.  The hotel is situated in the heart of Stamford’s business district – near top-notch restaurants, shopping, even theater. We’re also conveniently located near Stamford’s public transportation hub, the Metro Station. Nearby towns of Greenwich and Darien offer eclectic dining options, high-end shopping districts, and charming coastal scenery. Stamford is located just 30 miles north of New York City, and is a main stop on Metro-North’s New Haven Railroad line, where trains arrive from all points between New London and Grand Central Terminal, New York City. Stamford is also a stop along the Amtrak route where the Boston-to-Washington Acela high-speed train stops daily. 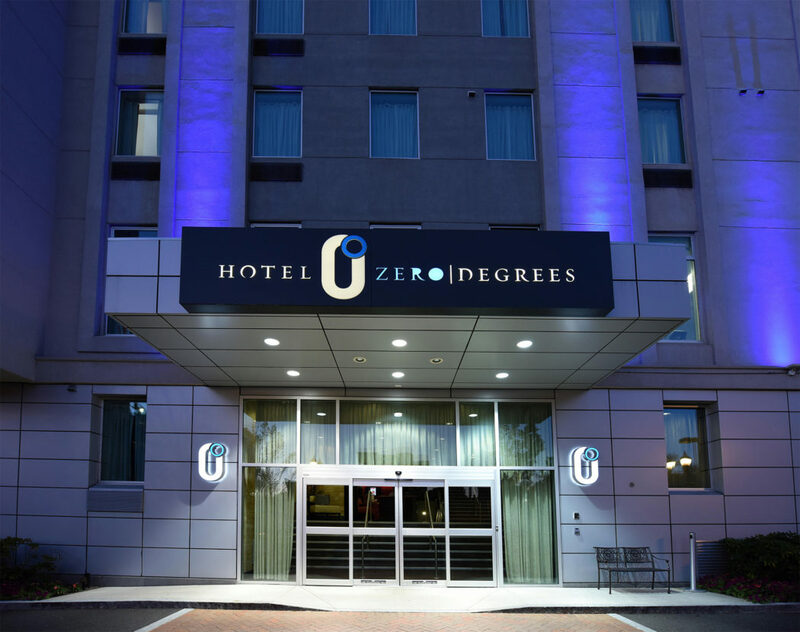 Hotel Zero Degrees Stamford is only a short 2-block walk to the Metro Train Station. 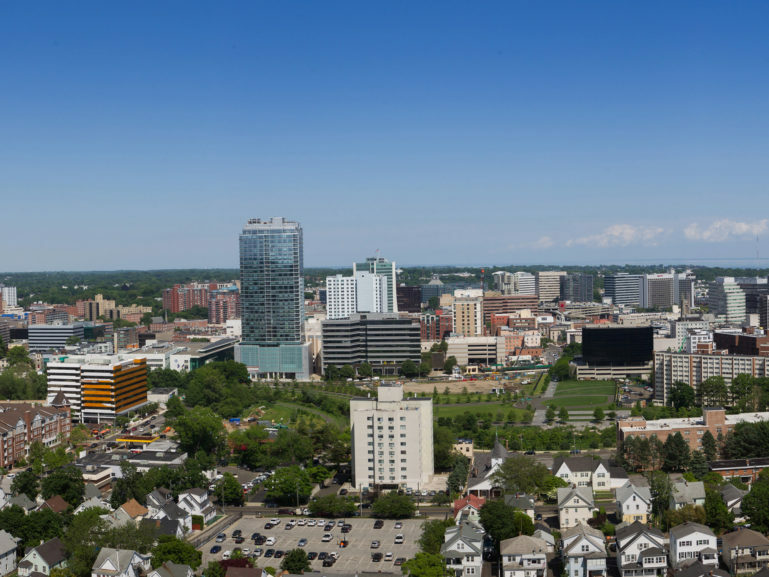 Stamford is also close to six major airports, including LaGuardia Airport and John F. Kennedy International Airport.